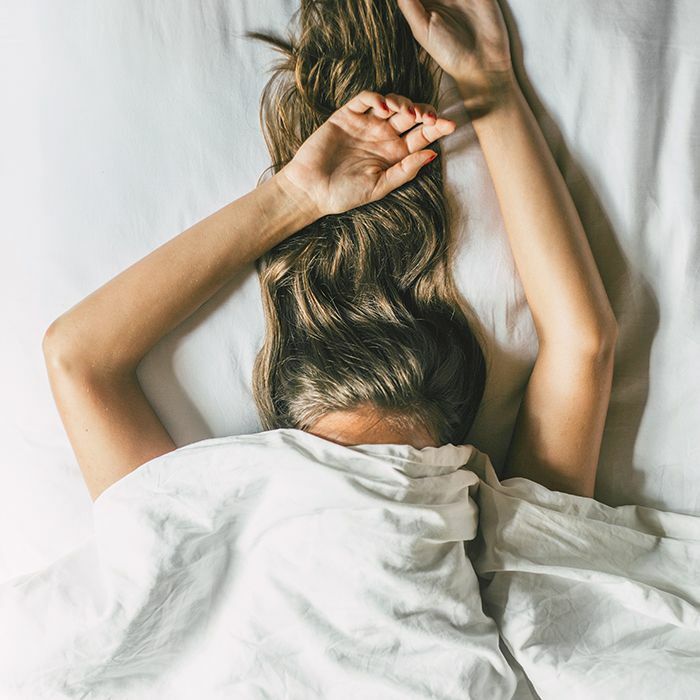 Even if you've wound down with a hot bath, shut off all your electronic devices at a reasonable hour and doused your pillow in lavender essence, getting some quality shut-eye really comes down to those crucial moments after your head first hits the pillow. And for many of us—no matter how sleep-friendly those aforementioned rituals are—this seems to be the time when our brains kick into high gear. Did you remember to reply to that email? Ugh, you need to hit the grocery store tomorrow. Oh, good—the montage of your life's most mortifying moments is right on schedule. Why is it that we can feel so exhausted but still end up staring at the ceiling? Breathwork specialist Ashley Neese believes it has something to do with the way we're breathing. Research shows that breath has the potential to curb stress, reduce cortisol levels and evoke our bodies' natural relaxation response—but it's much more difficult to reap these benefits when we're not doing it properly. "Many people are unaware that they are breathing through their mouth the majority of the day instead of their nose," says Neese. "For most people, breathing through the nose is going to be the most effective way to breathe. It has been shown to increase circulation, reduce anxiety, improve lung health, boost brain function, and raise emotional intelligence." And training yourself to breathe more efficiently every night has the added benefit of shifting your brain's focus from your to-do list to your breath, which helps put you in a meditative state. "I'm a big advocate for deeper, slower breathing at night, as it is a fast way to reduce anxiety and tension," says Neese. "This type of breathing sets you up for a better night's rest." It's worth experimenting with your own deep breathing exercises to see what does the trick, but if you're unsure of where to begin, Neese offers two easy techniques to try. 2. Breathe in and out through your nose. 3. On the inhale, become aware of the natural rise and fall of the abdomen. 4. After a few minutes, begin to lengthen your exhale, making it one to two counts longer than your inhale. 5. Repeat until you are ready to sleep. 1. Begin with a few rounds of breathing in and out through the nose. 2. Establish a slow pattern of breathing for a minute or two. 3. Begin counting every exhale from one to five. When you get to five, count back down to one. 4. Repeat counting on each exhale. Don't go past five, and if you get lost, start back at one. 5. Continue until you are dozing off.